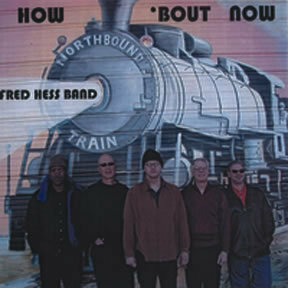 For his 11th album as a leader, Denver-based tenorist Fred Hess employed the same excellent sidemen as on his previous two well-received recordings-Ken Filiano on bass, Matt Wilson on drums and Ron Miles on cornet (instead of his usual trumpet), with longtime colleague Mark Harris added on alto. And once again the leader, who holds a doctorate in composition, wrote all the pieces (certainly not “tunes”). Indeed, the emphasis is on Hess’ sophisticated writing, complemented by well-integrated improvisations. Straightahead swing, as in “Sooz Blooz,” shares space with creative forms and rhythmic schemes as in the programmatic “The Clef’s Ski Vacation,” which faithfully renders a soundtrack for a fanciful storyline. Other selections include “Finding the Evidence,” where the listener is challenged to find Monk’s disguised theme, “B Quick,” whose opening tenor-and-drums unison leads to a long and fascinating Wilson solo, and “How ‘Bout Now,” where the players all simultaneously engage in improvised interplay. As improvisers, Hess and Miles refuse to rely on the obvious. Their searching inventiveness affords them distinctive voices within the postbop tradition.